If the sorting of our waste materials remains unusual to most poeple, let us not be blinded by the mirage of all-recycling, which alone can not solve the big problem of post-use management of plastic waste. By billions, debris are concentrated in the seas at the mercy of the currents, forming a polluting plastisphere highly integrated into the ecosystem. Eliminating it is a headache for specialists. In 2015, 9.1 million tonnes of plastic ended up in the sea, drained by rains and winds, carried by rivers. Depending on their density, some flow, others float and are driven by winds and ocean currents. Today the amount of plastic in the oceans is estimated at 300 million tons, and if nothing is done, there will be an additional 155 million tons by 2025. A priori, this plastiplankton is not dangerous for the organisms that ingest it. Their digestive system evacuates the constituents of plastic, which are inert, unassimilable materials. However, a study published in the journal Environmental Toxicology and Chemistry showed that molds in the presence of polystyrene nanobeads lacked appetite. The impact is not zero therefore, on filtering organisms. It is even less so when it is due to micro or macro-waste. First because they serve as vehicles for the dissemination of species in the oceans. For example, the 2011 tsunami which released billions of tonnes of waste to the sea, resulted in the migration of some 120 species from Japan to Canada. And with them, a lot of pathogens for local people. The plastisphere changes the rules of the game between different organisms. So are the Halobates sericeus, marine insects that walk on water and lay on floating objects … a fortiori on plastic debris. In an environment where resources are scarce, the multiplication of nesting sites favors their development, to the detriment of other species. And especially fish, which also deposit on plastics their eggs, a dish of choice for halobates. Three years ago, a study by researchers at the University of California found that these insects proliferated in the North Pacific Gyre. In 2015, the 7th Continent mission also took large quantities of them in the North Atlantic. Other privileged inhabitants of the seventh continent are the jellyfish whose young polyps (first stage of development) colonize the pieces of plastic willingly. Perhaps this is the key to their proliferation? What is certain is that jellyfish eat fish. So the more jellyfish there are, the fewer fish there will be. Finally, waste that contains polyethylene become porous by degrading and absorb persistent pollutants. They are thus transformed into true “sponges” with heavy metals in them. What happens to these pollutants? Are they released into the environment? Are they transferred to seaweed or plankton? The study of the plastisphere is just beginning. And faced with the extent of the disaster, it is urgent to understand before considering cleaning the seas. Because under the plastics, there is life, a life abounding to be preserved. Among the possible actions, some fall under the false good idea, but others would have a real effectiveness. According to a study published in Science in 2015, the 192 coastal countries of the planet produced 275 million tonnes of plastic waste in 2010, of which 8 million tonnes were dumped into the oceans. Faced with this finding, what to do? Reduce pollution at the source? Ban all plastics? The solution is unrealistic. Without food film, for example, a large amount of food would be thrown away. However, restrictive measures are taken. In France, cash bags will be banned in 2016: a bag that serves 20 minutes pollutes indeed 450 years. Making plastic biodegradable? Biodegradable plastics are designed to disintegrate under specific conditions of humidity, heat and microbiology rarely reached in nature. There is a so-called oxofragmentable plastic: an additive allows its fragmentation. False idea because it makes the pollution invisible. Compostable packaging is. they come from natural products: potatoes, seaweed, corn, agro-food waste. This is the option chosen by the Brittany Materials Engineering Laboratory which uses local waste associated with marine bacteria to produce local packaging. A virtuous circular economy. Prevent the arrival at the sea? This requires the general immobilization at the scale of a watershed, involving the regular cleaning of watercourses. The 7th Continent NGO team conducts clean-up operations every year, the last one taking place in the Seine, where an average of 100 kilograms of waste was removed every 100 meters. In France the water agencies finance capture grids, but it’s still anecdotal at this time. A participatory application will be inaugurated in September to allow to photograph and locate by GPS the contaminated places. This information will be transmitted to the waste collection services. Pick up the rubbish ? This is simple and effective in the short term. This solution was tested at the scale of a country, Lebanon, where, in the aftermath of the civil war, the seabed was covered with more than one meter of waste. In August 1997, Operation Big Blue launched the first collection campaign that brought together 40,000 people along the coast. Since then, this cleaning has become annual. The problem is as long as plastics are released in the wild, they will have to be picked up. The cycle is endless, therefore. This is the challenge of the Dutch Boyan Slat who imagined a flexible barrier of two kilometers long, attached to the seabed, which stops the waste pushed by the currents. These are concentrated in the middle of the device, from where they are extracted from a platform. The Ocean Cleanup Association has announced the implementation of a prototype in 2016 off the coast of Japan. Problem: this system does not take into account the plastisphere and the life associated with it. And does not solve the problem of nanoparticles. Consider renting a dumpster and fill it with all your unwanted plastic items, so they safely end up in a landfil or even better they get recycled. This way it will not end up in the ocean and you will be helping the environment. The word “cloud” has basically become a common technological term. While tech-savvy people have a decent understanding of what it truly is, its potential and application come a bit confusing to most of us. For example, cloud hosting is not a shared server with a cloud logo on it. Compared to other hosting services and other traditional forms of hosting, cloud hosting offers unique pros. The name cloud is drawn from its computing power called the cloud – an extensive underlying network of physical web servers or components where resources are allocated instead of having a fixed set of hardware. To state it simply, this server is an infrastructure that utilizes a software to divide itself into multiple virtual servers. These divisions are then called virtual machines (VM). The terms “cloud computing” and “cloud storage” are sometimes used interchangeably. A person who is still new to web hosting may be tempted to believe that both terms are the same. But this is far from the truth. The most general thought of cloud is a unit of storage where you can save files and remotely access them. Some examples are DropBox, iCloud, and Google Drive. Once the files are stored here, any person with access can get a copy of the data stored. Cloud Storage is useful for both personal and organizational use as most of them can provide you with unlimited storage space. Cloud computing, on the other hand, works differently. Cloud storage is where you safely keep your files, while cloud computing is used to work on and finish projects. Since this is also linked to the cloud, you, or someone else with access can work on the same material and return it to you or pass it around to other people. In organizations and businesses, cloud computing ensures that people can collaborate more efficiently. Since all the files are accessible to anyone authorized, it eliminates the problems of transparency. Furthermore, cloud computing also improves communication, especially when projects are worked on by multiple people in different locations. One example of Cloud Computing is SaaS or also known as software-as-a-service. Below are the main types of cloud that you might find useful for your business. 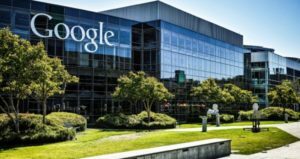 Public clouds are computing infrastructures that are being offered by companies like Google, Microsoft, and even Amazon. They basically provide services to the public including you. Even organizations can secure a piece of this space of network. Essentially, the resources of the cloud are being shared by hundreds to thousands of people. They do excel in performance but are quite vulnerable to cyber vulnerabilities and attacks. A private cloud is a network used by a single person or organization. This means it cannot be shared but still remains to be remotely located. It is often used by businesses who require a specific type of security control. Many medical clinics, banks and other organizations who are mandated to follow certain state guidelines for data control utilize this type of cloud hosting. It allows these organizations to handle sensitive data while meeting the government regulations without breaching privacy. So rest assured that trade secrets, medical records, bank account details and other classified information are safe. The hybrid cloud gives you the best of both worlds. Its system is more complex and requires its users to manage multiple platforms and determine where exactly their data is stored. An example of this is an organization that uses a public cloud to provide information or even interacts with clients or customers while keeping sensitive data secured in a private cloud. If you have an organization and are looking for scalability, flexibility, and security, this is the best choice. Cloud Storage require more storage space as it is mainly used as a storing and sharing medium. Cloud Computing requires a higher processing power because multiple people can access it all together and work on the same project. Cloud Storage is mainly for personal use. Some small to medium-sized organizations use them as well. On the other hand, cloud computing allows its users to code applications remotely and even transform the necessary data. Organizations and businesses today continue to investigate the pros and cons of cloud computing. After all, some companies still prefer to keep their data in a hardware somewhere inside their office. Though it is still relatively in its early stages of adoption, it is clear that Cloud Hosting is also an effective and inexpensive option without risking data security. Chile is a beautiful country to visit for nature lovers. Here is a summary of what you can do over there. And it is really worth it, so consider it as a once in a lifetime opportunity. Chile is a paradise for every outdoor fan, even around the metropolitan area hikers can find untouched nature. The father north or south you travel, the fewer infrastructures you will find. For everybody who loves hiking and wants to experience some real adventure Chile is the place to go. The 2985 meter high volcano is located in the national park Laguna del Laja and is perfect for a 2 to 3 day tour. There are no shelters along the way, therefore a tent is necessary. On the way you will see Sierra Velluda (3585 meters), countless waterfalls and a field of cold lava. In the surroundings of Temuco, around the volcano Llaima (3125 meters) and the national park Conguillío hikers can find the mountain rage Sierra Nevada. The trail takes round 2 days to complete and is not difficult. Nonetheless, a map and compass are mandatory. 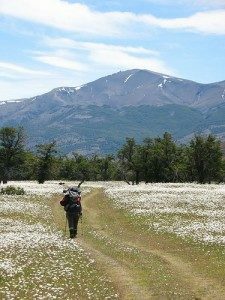 A longer tour through the Andes nearby Talca, the entire trail takes about 8 to 10 days but it is possible to walk only parts of it. On the way you will see the Río Claro, the 3830 meter high volcano Descabezado Grande, waterfalls, hot springs and a lot of untouched nature. In some parts of the trail it is helpful to have a tour guide because the tracks are hard to find. A pack horse is a good option to carry all the supplies (including food) you must bring with you. For inexperienced mountaineers the national park Torres del Paine in Patagonia is perfect to experience a glacier tour. Still the tour should not be taken alone, once you are on the top you are surrounded by 18.000 square kilometers of ice. In the Andes you will get great chances to see many fascinating bird such as the Crag Chilia, the Rufous-banded Miner, White-sided Hillstar, Yellow-rumped Siskin, Greater Yellow-finch, Black-winged Ground-dove and of course the majestic Andean Condor. In the La Campana National Park which is a typical Central-Chile Mediterranean landscape you will be able to see the Dusky-tailed Canastero, White-throated and Dusky Tapaculos, Moustached Turca, Chilean Mockingbird and Chilean Tinamou. Around the sandy beaches there are high chances to spot Collared Plovers, Willets, Black skimmers, White-backed Stilts and up to five tern species. In the lagoons and marshes there are possibilities to find South American Snipes, three South American Grebes (Great, White-tufted and Silvery), Plumbeous Rails, Lake Ducks, Red Shovelers, Speckled Teals, Chiloe Wigeons, Black-headed Ducks and Black-necked and Coscoroba Swans. Around the Humboldt Current before Vallparaiso you might spot a Humboldt Penguin, Peruvian Booby, Peruvian Pelican, Guanay Cormorant or Peruvian Diving-petrel. Plus you can spot animals like the Red-legged Cormorants, Inca Terns, Grey Gulls, Blackish Oystercatchers, and Southern Sea Lions. Chile has many beaches good for surfing, especially the northern region. Except for the winter months surfing is possible all year. The water temperature ranges from 15º and 20°C. Although the waves in central Chile are bigger, the waves in the north are stronger and are better suited for surfing. Located south west of Santiago, is the number one surfing spot in Chile. The town is the host of the annual national championships. It offers something for every kind of surfer. Beginners should try to catch their first waves at the beaches Las Terrazas or La Puntilla. More skilled practitioners should visit El Infierno, while only the most experienced surfers should consider Punta de Lobos where the waves can get up to 6 meters high and more. Just north of Viña del Mar, Ritoque is one of Chile’s most beautiful places for surfing. On the 13 kilometer long Playa Ritoque waves can get as high as 7 meters. The beaches around Curanipe are very popular for his long waves that can carry on for almost 1 kilometer. The Playa Pullay has waves up to 4 meter high, where tubes are very common. Close by the city Arica is the Playa Gringo, where as the name tells many US Americans come to surf. Even though there rocks in the water, the qualification for the national championship takes place here. Waves can get up to 4 meters high. The Lago Espolón is located about 8 kilometers from the town of Futaleufú in Chile’s 10th region (a few hours from Puerto Montt). The canyon has several waterfalls and pools. For people with a good endurance this tour should be fine. Close to Petrohué lies the Río Leon, you can experience waterfalls, pools and climbing areas. The activities in the river are not for the weak, and it is advised you take a tour with an experienced guide. Also, the water can be very cold. For thousands of years, herbs and spices have earned their right place in the field of alternative medicine. Modern research has also proved and helped pinpoint their unique medicinal properties. If you are prone to colds and stomach aches, or if you are also experiencing other health issues that herbs and spices can help you with, you can directly go to your kitchen and find the remedies to your illness. You can either eat the spices with your meals, juice or create a smoothie with it. The simplest way to extract the medicinal properties of herbs are steeping it with hot water for a couple of minutes before drinking the liquid. Below are some of the typical kitchen herb that every kitchen witch loves to use. 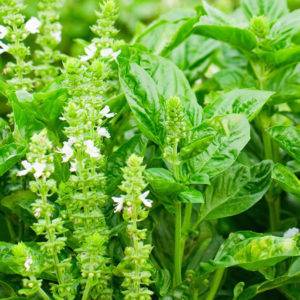 Basil is an Italian spice usually added to breads and pastries. This spice can also ease anxiety by relaxing tense muscles. Because of its biochemical action to the body, it can be used to address intestinal and uterine cramps of women. The herb rosemary has antibacterial properties. It also has antioxidant compounds that can help neutralize free-radicals in the body. A research group at Kansas State University reported that using this herb in ground beef can help reduce the formation of cancer-causing compounds that are usually present in fried and grilled meats. This herb is a powerful anti-inflammatory, which means it can used to help ease pain from injuries, arthritis or other chronic aches. Its potent properties came from the compound called curcumin – which is also a popular health supplement today. In India, it is used both topically and internally to help with skin wounds. It is also often steeped into tea to help ease upper respiratory tract infections and treat colds. Ginseng is originally an herb root, cleaned and soaked in hot water to serve as tea. The benefits of this root is it improves lung function, lower blood sugar levels, improves mood, reduce stress and boost brain function. You can grab this as a canned beverage, tea or in capsule form. This can be a replacement to coffee or tea as well. Cinnamon sticks are great when added to hot water with a little lemon to express cold symptoms. You can also mixed this with freshly grated ginger and natural honey as an elixir for sore throat. In ancient times, this spice was regarded as the spice used by royalty. Studies show that cinnamon can assist an insulin resistant patient in treating their condition. Cinnamon has also been found to aid in blood sugar reduction and repair damaged cells caused by aging. Ginger is not just a staple in every kitchen, it is a must to stock your pantry with this spice. It is great for curbing nausea, combating colds and treating indigestion. According to research, ginger contains the compounds gingerols. This is believed to help fight cancer and address pain from arthritis. Saffron has been originally used in Persia as a medicine to boost one’s mood. It is usually consumed as a tea or added to rice porridge. Medical findings states that saffron can address anxiety, depression and mood swings by changing the neurotransmitter levels of serotonin, dopamine and norepinephrine in the brain. This spice also contains antioxidants that can help clean up the free radicals in the body – particularly in the brain. Using herbs and spices in their natural form are completely safe. However, in the event that you plan on using these in supplement form to treat specific conditions, it is always best to seek your doctor’s advice about it. A healthcare professional can determine if taking these in supplement form are safe and in line with your illness. Natural supplements may come from harmless sources but they can be very potent. They can also interact or interfere with any prescription medication that you are taking, so remember to talk to your doctor and ask if these natural products are safe to take.